Is Your Current IT Support Firm Cutting Corners, Overcharging You, And NOT Protecting And Securing Your Computer Network As Well As They Should? Give us a call and let us show you what fast, friendly and highly-responsive outsourced IT services should be for your small to medium sized business: (732) 391-4770! Simplify your IT, lower capital expenditures, eliminate in-house servers, increase productivity, meet regulatory compliance and securely access all your files and applications from any desktop, laptop, tablet or smartphone. Business continuity guaranteed. Simplify your IT and allow us to handle all of your technology needs. Get back to the business of running your business and rest assured while we provide Help Desk and Onsite support, proactively monitor and manage and back up your entire network. Safeguard your valuable assets with multiple layers of monitored security protection. With an internet security appliance, gateway security, content filtering, antivirus and secure wireless, you will enjoy full endpoint protection both inside the office and while remote. Extend the same business continuity features of your network to your phone system. Save money, increase flexibility and take advantage of Unified Communications. You and your staff will always be accessible wherever you are on the device of your choice! Is your business suffering because you’re not using VoIP? Break free from overpriced calling rates, limited functions, and restrictive features by switching to VoIP, or Voice over Internet Protocol. 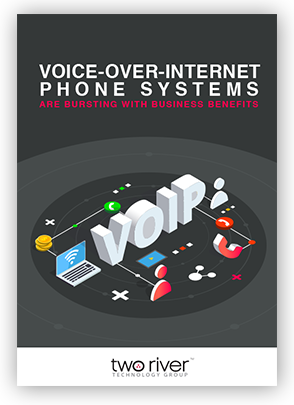 Unlike your old phone system, anything is possible with VoIP since you’re connected to the internet. Calls are clearer, cheaper, and more secure. You can also send and receive documents, photos, and voicemail anywhere in the world. Read all about it by downloading our FREE eBook now! 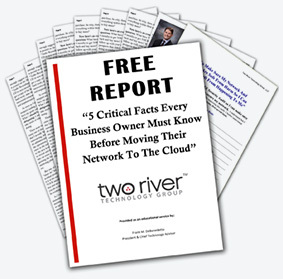 Why Should You Trust Two River Technology Group to Support Your Network? At Two River Technology Group, we only support clients whose networks we’ve designed and help maintain. Our focus is solely on you and our attention is never diverted by support requests from unknown callers. 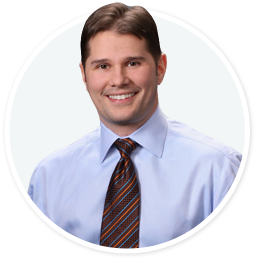 We stress quality of local service using a sterling group of certified technologists who focus on your business needs first. The result is a long-term partnership built on trust, value and a mutual desire to see your business prosper. Using many of the same technologies that we recommend, support and maintain, we are able to deliver enterprise level consulting without the expense typically associated with this type of service. If you’re frustrated by past consultants, you owe it to your business to check out our game changing technology services. Thinking About Moving Your Business To The Cloud? Find Out The 5 Critical Facts You Need To Know. Undoubtedly you’ve heard all the commotion around cloud computing and how it’s the “next big thing.” Yet, despite all the hype, no one really seems to understand what cloud computing is or how it can help your business. That’s why we wanted to set the record straight and provide business owners and executives a simple, easy to read report that would explain what cloud computing is, how it can (possibly) help their business and if so, what you need to know in order to make good decisions about choosing which vendor you choose. Why “possibly”? Because cloud computing is NOT a good fit for every company; and if you don’t get all the facts or fully understand the pros and cons, you can end up making some VERY poor and expensive decisions that you’ll deeply regret later. That said, for some clients, cloud can actually lower their IT costs by 10% to 25%, greatly improve the ability for remote workers to connect and work, simplify their entire IT infrastructure and genuinely solve a number of technology problems that they’ve been trying to work around for years. So which are you? By the end of this report you’ll know, or at least have a much better understanding. Of course, we are always available as a resource for a second opinion or quick question, so please feel free to contact our office directly if we can clarify any points made in this report or answer any questions you have.